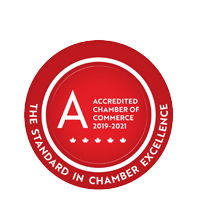 Impact Awards with Peter Mansbridge - May 9, 2019 - Business Directory - St. Thomas & District Chamber of Commerce - ON, ON ? We are proud to confirm that Mansbridge will be part of a renewed celebration in a concept launched by the Chamber 45 years ago. The Chamber’s annual Awards program, recognizing excellence in business and community service, has been completely reviewed and reformatted and will become the Chamber’s most prestigious event on the calendar. The new Impact Awards 2019 will be presented on Thursday May 9 in a gala setting at St. Anne's Centre in St. Thomas. Our event returns to its roots with a celebration that includes our keynote speaker and awards presentations in a signature event that will truly impact our community through recognition of excellence. The Impact Awards program will include complete dinner service. The creation of the Chamber’s new Impact Awards program is the result of hard work by a dedicated team of Chamber volunteers and staff. Their vision has been to renew, refresh and revitalize a key community-focused celebration that promotes excellence and celebrates success. Nomination details for the Impact Awards 2019 will be released in the coming weeks. The new Impact Awards program will be a community function that casts a proud reflection on the people, skills and opportunities here. It will be a celebration unlike any other, thanks to the exceptional support of several event sponsors. Entegrus Inc. has confirmed support as our title sponsor and will be joined by several others including Gorman Rupp Canada, Fanshawe College, Forest City Castings and the St. Thomas Economic Development Corporation. Others will be announced in the days ahead.